UPDATE: According to KKTV in Colorado, Pyle was pulled from Palmer Lake and found in critical condition on Friday. He later passed away. Well-known in songwriting circles, Chuck Pyle wrote “Cadillac Cowboy” for Chris LeDoux, which appeared on LeDoux’s 1988 album Chris Ledoux & The Saddle Boogie Band. Pyle also wrote Jerry Jeff Walker’s “Jaded Lover” from 1975’s Ridin’ High. 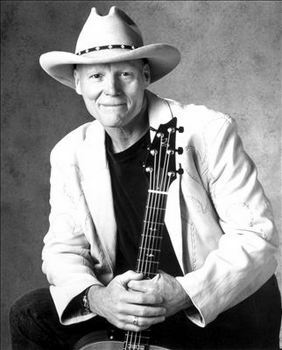 During his career, Chuck Pyle also wrote songs recorded by fellow Colorado resident John Denver, The Nitty Gritty Dirt Band, Suzy Bogguss, Owen Temple, and Gary P. Nunn among others. Chuck Pyle was born on January 28th, 1945, and was raised in Newton, Iowa where he sang in the school choir and performed his first show at the Iowa Farm Bureau when he was 13-years-old. He moved to the Boulder, Colorado area in 1965, and while watching a performance by Michael Martin Murphey in 1970, decided he wanted to become a songwriter. Soon Pyle’s music well-known in the Rocky Mountain state, and many of his songs were inspired by his surroundings in Colorado’s mountains. After writing the theme song to the PBS show Spirit of Colorado, he was selected to sing at the opening sessions of the Colorado Legislature. He also regularly played New Thought churches around the country after first playing the Unity Church of Boulder in 1986. The “zen” in his nickname came for the spiritual approach Chuck brought to his music. Pyle toured all around the country as a one man show, playing about 100 dates a year at small venues, house concerts, and festivals. Not just known as a singer and songwriter, his “Chuck Pyle Finger-Style” guitar technique—where he plucked the base notes with his thumb and used his first three fingers to play the melody—was enjoyed by audiences, and taught by Pyle at guitar workshops. Chuck Pyle released Cover Stories in 2015. It was an album that covered songs from songwriters he admired such as Walt Wilkins, Lynn Miles, and Hayes Carll. He released 13 albums in all during his career. I could not agree more! Chuck was the absolute hi-lite of my first Kerrville Folk Festival – the labor day version called Kerville Wine and Music. I returned many times after that first one and saw Chuck again just a year or so ago in Baton Rouge. He was a relaxed consummate professional that brought joy with his songs and stories. I appreciate the respectful article and his cover of Hayes Carll’s Beaumont, but could /should the link have been to one of the many Pyle-penned songs? Chuck Pyle was an amazing songwriter ! He has left his mark on the craft for many years to come . Chuck was fortunate to know how well he was loved by his many friends, and in having some idea of how many lives had been touched (profoundly) by his music. He is loved by many, and will be missed by all who knew him. Keep ‘er steady, cowboy. Larry, thank you for bringing Chuck into our lives in Whitefish. He has made a profound and lasting impact on me and my husband, and we have been devotees ever since. I am so thankful we had numerous opportunities to share in his music and his persona in a beautiful and intimate environment. He will be so missed. Thanks Chuck, for the good you brought to the world through you kind and generous spirit , and the musical treasures you shared with us all . We should all strive to be able to look back from where you are now and see a life as well lived as yours was . You are sorely missed ……. Chuck was born in 1945 – so was I.
Chuck played music and lived in Amsterdam, Holland in 1973 – so did I.
Chuck hung out in New Mexico with tree planters from Taos – so did I.
Chuck’s first born was a boy named Keegan. – so was mine. The first time I heard of Chuck was in 2009 when I started the Songbird CafÃ© & Music Hall in Beulah, Colorado. I booked Chuck for a few shows over the two years I that I owned and operated the business before my retiring..
Great guy – great songwriter, and he will be missed. Rest in Peace, Chuck – thanks for all your music and great brilliance, We’ll see you later, amigo. Trigger has (or at least had) a residence there. 70 is an early age to die in this era of modern medicine. May he rest in peace and may his family find comfort amidst this tragedy. This isn’t related (though I’m sad to hear of the passing), but I just heard Turnpike Troubadours’ 7 & 7 on NBCs “Sunday Night Football” as they were cutting to a commercial… Pretty cool. It’s hard to imagine that their stuff wouldn’t be a huge success on the radio (and I wouldn’t say that about a lot of my favorite artists like Isbell or Simpson). Yes, I mentioned this on Twitter when it happened. Probably not long enough to even let someone Shazam it, but still a pretty cool moment. His specialized guitar picking was called, “Rocky Mountain Slam Picking”. From our first time seeing him in concert in 1996 to most likely his last note was played.. He will be greatly missed..
Chuck Pyle’s been one of my music heroes for years, but I never had the luck to hear him in person or meet him. Thus, I was ecstatic to have a house concert set, in my home, in the latter part of November 2015. It was not meant to be. A light in the world of musical artists has gone out, and it is to the loss of us all. My sympathies to his family and close friends, and a thanks to Chuck for all the pleasure and solace his songs have brought me over the years. I met Chuck shortly after recovering from a domestic violence lifestyle and his music was so therapeutic to me. We quickly became friends and shared some great conversations together. When I had a fundraiser to help other victims of Domestic Violence, Chuck gracious donated not one of his CD’s for the silent auction but his ENTIRE CD collection! That’s what kind of man he was! Loving, compassionate and caring! He will be greatly missed in the hearts,of his family and friends. His music however, will keep his memory alive! I’ve heard Chuck in person and play some of his songs. Will truly miss him, what a wonderful guy he was, in so, so many ways. So sad. Thanks for sharing the new info Fred. I am beyond sad that this wonderful singer/songwriter/storyteller has left us and way to soon. I found Chuck Pyle when we moved back to Colorado Springs in 1999 and have taken every opportunity to see him in concert at least once every year except this year and now he’s gone. I have introduced your wonderful music to numerous family, friends and neighbors and it will play in my home for the rest of my life. Rest in peace Zen Cowboy. See you on the other side of the hill. I was introduced to Chuck Pyle’s music through JJW’s “jaded lover” and later through the LJT festival and Tommy Alverson’s family gatherings. Great songwriter and downright amazing guitar player. It’s so sad to lose such a great talent this way. RIP sir!!! RIP Chuck Pyle! Your music really touched me and so many others! You gave so much in music, song, and witty sayings. An unforgettable Gift – You WILL be deeply missed. We’ve truly lost “one of our people”, as Al and I say. What a musician! We shared a bill in Littleton, CO years ago and I’ll never forget his sweet singing and infectious rhythm guitar – “They say, Ruby, you’re like a dream…” Saw and heard him several more times on the old folk music trail. Adios, Chuck.